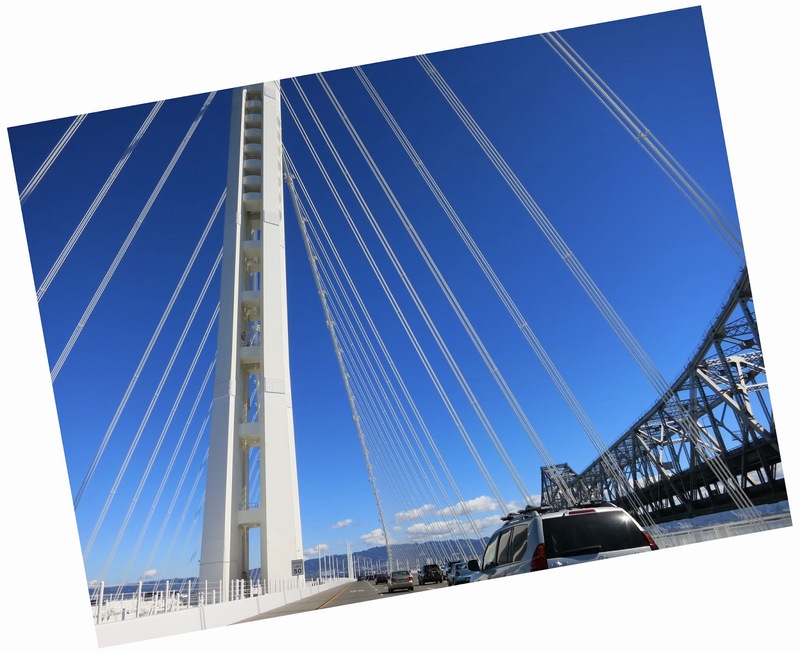 I was disappointed by my attempt to photograph the new East Bay Bridge on our way to SFO and Japan (see previous blog). On our way home, my son was too tired to drive and so I asked him to photograph the bridge and his photos were much better than mine. 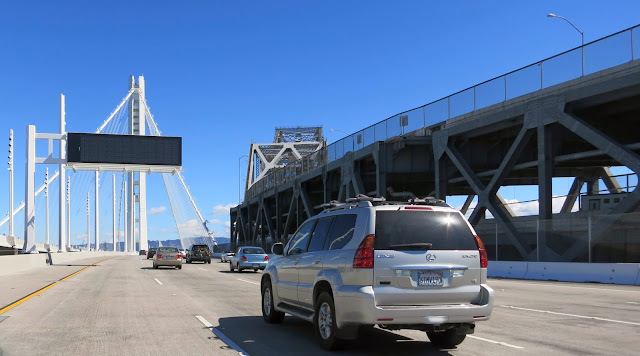 The old truss bridge will eventually be removed, which should allow for better views of the bay. Tall light posts appear to compete vertically with the bridge tower (composed of four legs and connected by shear links). Pairs of stay cables wrap around the suspension cable and are kept from banging against each other with spacers (dampers?). Alameda County, California Bridges: East Bay Skyway Bridge across San Francisco Bay (2) by Aaron Yashinsky is licensed under a Creative Commons Attribution-NonCommercial-NoDerivs 3.0 Unported License.